The AQUADAPT program is concerned with how the aquaculture sector in mainland Southeast Asia could adapt to climate change and at the same time be sustainable. It is led by the Unit for Social and Environmental Research (USER) at Chiang Mai University. The program has been primarily funded by the International Development Research Centre (IDRC), Canada. 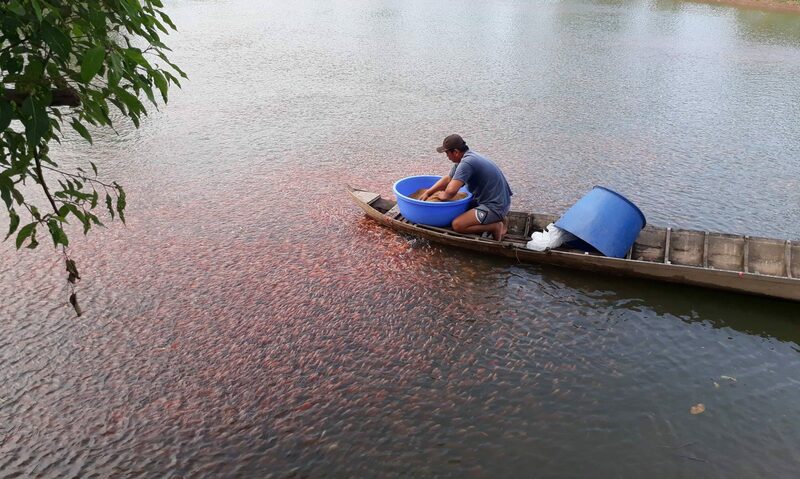 The AQUADAPT (Phase I) had an empirical focus on Tilapia grown in farm ponds or floating cages in rivers and reservoirs in Northern Thailand. The project ran from July 2012 to December 2016. AQUADAPT-Mekong (Phase II) has a much broader geographical scope with activities in Cambodia, Lao PDR, Myanmar, Thailand and Vietnam. It aims to assist fish farmers in the five countries better manage climate-related risks, and thus capacities to adapt to climate change, through jointly evaluating and supporting the development or uptake of promising innovations. This project runs from November 2017 to October 2020.